Hello everyone! Hope you had a wonderful time ushering in the new year! 2012 started out extremely well for me but I’ve also been very preoccupied during the past few days due to the celebrations. So very quickly today, I want to answer a question posed by a reader via email, who is wondering why she is still getting freckles and sun spots on her face when she has been using sunscreen diligently. Well, this is a rather common concern and the problem may not necessarily lie with your sunscreen assuming it offers broad spectrum protection with ample protective active ingredients, and you’re applying it in sufficient amount. So what could be the culprit? Well, there are a few possibilities including your lifestyle, your diet or even any medication you may be taking. However, I’ll just look at one today and that is, perhaps something in your skin care products is causing your skin to be photosensitive. Actually, I’ve addressed photosensitive ingredients before in 2008 but I realized it’s important and so I’ve just pulled it out again for this post – a bit of something old for something new? It’s no secret that a lot of products that promise to make your skin brighter or whiter can actually cause sun sensitivity and many of us use such products. In my 2008 post, I put up this table ofÂ common ingredients in skin care products that can increase sun sensitivity. And as I’ve mentioned, this table is by no means comprehensive.Â There are probably aÂ few more ingredients that I have missed out but I think as a general rule, if you’re using something strong for skin lightening or acne treatment, chances are,Â it could contain ingredients that might increase sun sensitivity. In addition, many natural ingredients can cause sun sensitivity as well, especially those that contain astringent properties.Â In fact Cosmetic CorpÂ indicates that ingredients likeÂ Almond Extract, Allspice, Angelica, Arnica, Balm Mint Oil,Balsam, Basil, Bergamot, Cinnamon, Citrus, Clove, Clover Blossom, Cornstarch, Coriander Oil, Cottonseed Oil, Fennel, Fir Needle, Geranium Oil, Grapefruit, Horsetail, Lavender Oil, Lemon, Lemon Balm, Lemongrass, Lime, Marjoram, Oak bark, Papaya, Peppermint, Rose, Sage, Thyme, Witch Hazel andÂ WintergreenÂ can cause our skin to becomeÂ sun sensitive! I would also think that alcohol and artificial colors from makeup products can get our skin more sensitized under direct sunlight. It is almost impossible to avoid some of these ingredients unless you’re extremely selective or you make your own products. So my best approach is to minimize what I use during the day and keep to just a moisturizing sunscreen. And do also bear in mind that some sun sensitive ingredients can remain active on our skin for some hours even after they’ve been washed off. 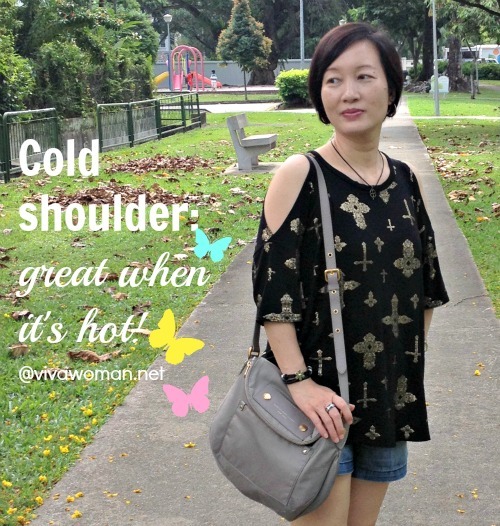 Hey, it’s so hot…I’m giving you the cold shoulder Have you done an audit for your sunscreen lately? 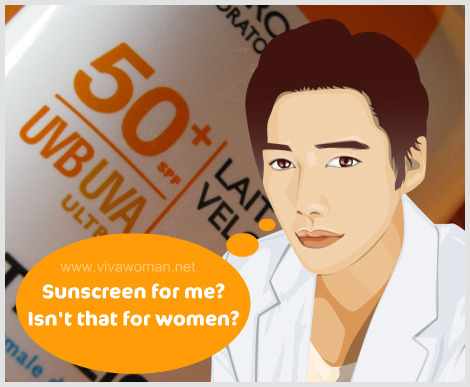 Viva Challenge: educate a male about sunscreen How much sunscreen do I apply daily & do I reapply? It’s heartbreaking to see all the uv and brown spots under the machine, and to think that i trust the sunscreens. I have started using obagi sunscreen recently, and top up with iS Clinical powder sunscreen every now and then in hope to keep the spots in control. What was the sunscreen you were using before? I think most sunscreens aren’t fullproof but surprised that the doc said you have not been using any. i have tried like a tonne of sunscreens *shrugs* can’t pinpoint which didn’t work. anyway, the doc is a personal friend of mine and he wasnt trying to sell me anything. so, there is some sort of trust there. and surprisingly, each new beautician i meet will ask whether i use sunscreen or not. i am not sure that’s their script or not but its so disturbing. A combination of them would be good. Should not be swept off that easily plus most makeup contain some SPF so it sort of help. 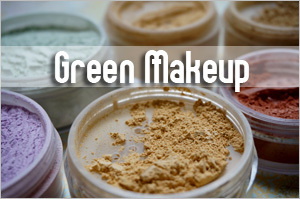 Use a brush to apply mineral makeup with a light hand may also help. Another way is to use a sponge and gently dab on. I’ve always been sceptical to different brands’ efficiency on protecting skin from sun damage – which is why I prefer to supplement high SPF creams with what Joan Collins does for sun protection: hats. Yes, very wise to supplement to sunscreen by using hats or umbrella. 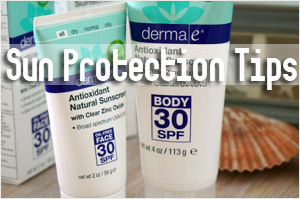 These are the ones offering both UVA and UVB protection. For the face, it’s about 1/4 to 1/3 teaspoon. However, usually, because of the texture, we can’t apply so much so it’s best to use other forms of protection eg. umbrella or hat. Also agree with you to use as basic a skincare as possible for daytime, before sunblock. I agree…I think using the right sunscreen has helped a lot! I used to use Vitamin C in the day but after reading different takes on it, decided to use it only at night too. wow i didnt know licorice extract causes photosensitivity. 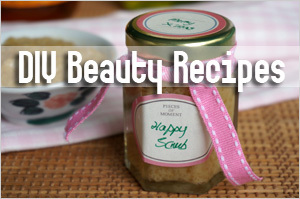 its one of my favourite ingredients for calming my sensitive skin! Such ingredients have whitening properties and would cause photosensitivity although the effect might vary with individuals. Best to use it at night. I don’t know what brand you use but I’ve noticed increasingly that the good companies will always instruct users to use brightening products in the night. I guess some brands are just not into such details. Yeah, use it in the night and see if it helps you better. Is anyone else concerned about a lack of vitamin D due to sunscreen and staying indoors? Many of the people I know who have had their D level measure are deficient, even in Hawaii. People wear sunscreen and stay indoors more. I’m sorry Destiny that this was never on my radar because we’re in Singapore and suffer from loads of sunlight! I guess for those in other reasons, vit D deficiency is a concern and they have to look into it. I know some experts suggest getting 10 mins of direct sunlight exposure in the mornings. Its a growing topic here in the US, even in California..where it is currently 80 degrees! Its partly sunscreen, partly staying indoors with the computer and also genetics. I googled “vitamin D deficiency+Singapore” and saw some interesting articles taking both sides of the debate. But I thought Vitamin C is an antioxidant that will fight free radicals. How does it make you more sun sensitive? If you use a product that contains Salicylic Acid in the night will your skin still be sun sensitive the next day? Yes, you’re right that it’s an antioxidant and I have a dermatologist who told me it’s safe to use under sunscreen. But vitamin C do make our skin more sensitive, even if it’s just temporary so I think it does two things – protect but makes it more sensitive too – and that is why sunscreen is still needed over vitamin C products. 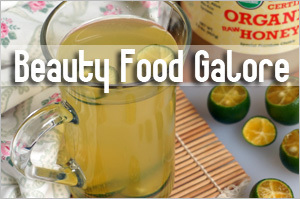 If you do a search on the topic, there are many who indicates that vitamin C is photosensitive when used topically. For me, I’ll rather play safe and use it only at night. Anyway, no point using so many stuff in the day when the most important is to protect the skin. Salicylic acid causes skin thinning when used in the long run and so that’s why your skin can become more sun sensitive. So yes to your question if you use it for a long period. So you must always use a sunscreen in the day. Hi Sesame, I had read this article in expectations that you would address how sunscreen causes acne or clogged pores rather than perhaps rashes or sun spots – could you please clarify this in the title? Thanks! That being said sometimes it can be difficult to pick a sunscreen that both uses the most beneficial ingredients and one that is simple but serves its function without complicating the issue. For example it is very nice to have the anti-wrinkle effect of Vitamin C in a moisturising sunscreen, but it may either cause photo sensitivity or it may not even be activated due to the pH level of the formulation. Rapid oxidation of the wrong type of Vitamin C can also hasten Zinc Oxide’s breakdown. Hard to cut the gimmicks out! I wanted to write it as sun spots but to keep to one line, I can only use the word “spots”, which can mean a few things. But it should clarify itself once you’ve read through the content. I’ll be wary of a sunscreen with the vitamin C as an ingredient too. I was told by a dermatologist that it’s supposedly good but I have my reservations and anyway, decided to avoid all application of vit C in the daytime now. Wow… reminds me why it’s a good decision to stay away from some of these ingredients ‘cos sometimes, I’ve got eczema breakouts all over my body and obviously can’t apply sunscreen since that could irritate my skin further. I know they’re not bad for healing the skin but still… may be better to use sparingly. Btw, sorry for yet another question again. I seem to be getting a ton of stuff lately. When you first started using organic or natural shampoos, how much time did it take for your hair and scalp to adjust and were there any side effects like “increased hair loss” for a while? Just got A’kin: lemongrass shampoo and unscented conditioner. While shampooing, dropped quite a few hairs that had clogged ends but no hair roots. Also, my hair seems to have turned super shiny for some reason. And well, my scalp is still a bit oily but thank goodness, NO more burning of my skin/scalp and I’m keeping watch on my flaky + itchy scalp issues. It’s also the first time I’ve used a conditioner where you put it on your scalp! o.O I’m a bit worried my hair loss might increase, btw but let’s see, eh? Hmm…no, not that I recall. But when I turned to natural/organic skincare, I was suffering from acne then so I cannot be sure if some of the breakouts were due to “purging”. As for my hair, definitely no problem. In fact, I need to go back to using A’Kin again. The Organix shampoo I have been using is not that great after awhile. But why do you use the conditioner on your scalp? I only use on my roots. I’m paranoid of the conditioner weighing down my hair. You’re still using that Organix shampoo? I thought your review mentioned it was dreadful? I guess all of us don’t want to use waste our money and will keep using some product, until it finishes. Well, the instructions said to put on my scalp too. Perhaps that’s why it became oilier. How to apply only on your roots? Nope. I didn’t review it as dreadful. I actually mentioned that performance was above average. The only thing I didn’t like is that it contains silicone and it isn’t organic despite the name. Sorry, I made a typo…not roots but ends. I always just apply conditioner to the hair ends, no matter what the instructions say. And I use very little of it. Oops, blame my poor memory! My hair will also become oily if I put too much conditioner…not only that but turn limp! Thanks for pointing this out, never associated photosensitive ingredients with its effects during the day. Will watch out for my sunscreen ingredient list. Also watch out for them in any other toner or serum/moisturizer you may be using under your sunscreen. 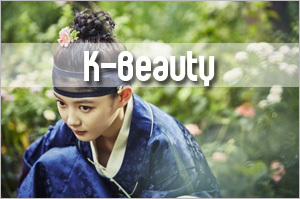 Welcome to my blog Kookith! Glad you find this info helpful and I hope you’ll come by often. Thank you for another educational post! Right now, MVO is my staple, and I’ve discovered the advantage is that it lightens my skin tone in the long-haul (don’t know why?? ), but the disadvantage is that one or two hours later some tinted streaks/marks will be produced on my face (the sunscreen no longer stays put as my face starts to produce oil). And I have to blend them away. Do you know of similar situation? As for ingredients, I was looking for a face cream last week. During my research, I’ve noticed that rosehip oil or rose (I heard that both can be photosensitive) pops up quite frequently as signature ingredients. 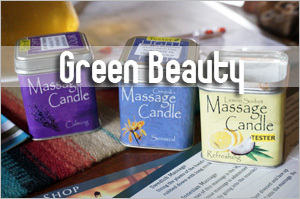 Some of the products are even marketed as DAY cream. Wouldn’t it be an issue if we applied those products topically day in and day out? I noticed it only sometimes at the end of a long day when my forehead is oily. Otherwise, no streaks generally. Actually I haven’t taken thought of rosehip oil being photosensitive until you mention it now and I recall reading about that. I think if it’s the main ingredient, yes…but if it’s just buried in the middle of the ingredient list or lower down, probably less so. I remember I asked a brand why they have citrus ingredients in their SPF moisturizer and was told that it’s in small % and the other active ingredients would “buffer” the photosensitive ingredients and hence make the moisturizer non-photosensitive. Also, I would like to add that it is a common myth that sunscreen application will prevent tanning but its not actually true unless you are using Zinc Oxide. So, this may be a direct result of using a chemical sunscreen or a sunscreen which is not broad-spectrum. I guess it pays to get a sunscreen which is both chem and physical. At least you get both. Miss Vinny: Good point! I think so too so that’s something I go for when I have to head out under the hot sun. But for daily usage, I prefer just physical – less chemical. Sorry, dun follow here. Why is chemical and physical sunscreen better than just physical? Kim: Because you can double protection. Physical deflects the light while chemical absorbs. But that’s from a sun protection point of view. Some people are sensitive to chemical sunscreen and will develop allergies so physical is better for them. And then there are others who dislike chemical sunscreens for the health hazard some of the ingredients pose. Ah well, these days I just opt for one that’s both as I often find myself spending quite some time under the sun. And besides, there’s sunlight everywhere in Singapore and UV rays even penetrate the windows. Swati: Interesting point! That’s why I always trust zinc oxide no matter what the other impressive chemical filters are. I just think it’s the best. Sesame: Thanks for clarifying on the double protection part. What’s the recommended SPF for your face? I’ve read that too high of a SPF for face is actually not a good thing. In addition, I’ve been hearing from a friend that they might ban SPF that’s over SPF 50 in the US for face starting sometime within the next two years. Should we in the US be stocking up on higher SPF products then? It’s more important to go for broad spectrum protection. 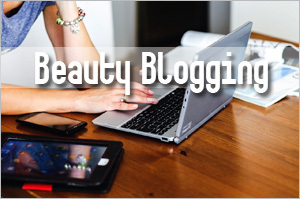 But assuming if the product offers broad spectrum protection, then go for SPF 30 or 50. 50 is good in the sense that we usually don’t apply sufficient amount so that number gives us some buffer. Hi Sesame, do you think that all sunscreens are limited in protection against the sun (even if applied every 2-3 hours as suggested by many professionals)? I actually visit this site often: http://breakingnews.ewg.org/2012sunscreen/ as a basis of evaluation on the sunscreens I use. Although not all sunscreen brands are available, I find that the site does tell you if your sunscreen has excellent/good/moderate/bad/very bad protection despite the amount of SPF the sunscreen is claiming. 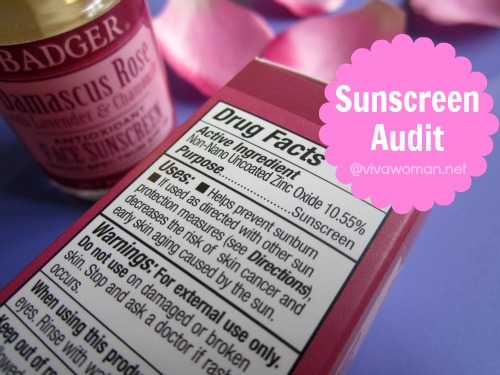 I find that a lot of 50+ SPF sunscreens actually have poor quality UVA/UVB protection. I actually put a lot of faith on the sunscreens that are listed to have either good or very good UVA/UVB protection, to provide a near full protection against the sun (which is why I asked you if you believe that all sunscreens are limited in protection against the sun) . Do you think this site has correct facts and is trustworthy? Thanks! It’s true. You cannot rely totally on sunscreens. I think sunscreens provide some level of protection but it is not complete. You need to augment with other arsenals and I do that with umbrella, sun protection supplements and well, avoiding the hot sun whenever possible. Also in terms of sunscreens, only the chemical based ones need to be applied every 2 – 3 hours. If you use a sunscreen with zinc oxide and titanium dioxide, it’s a physical block and they only become ineffective when wiped away. 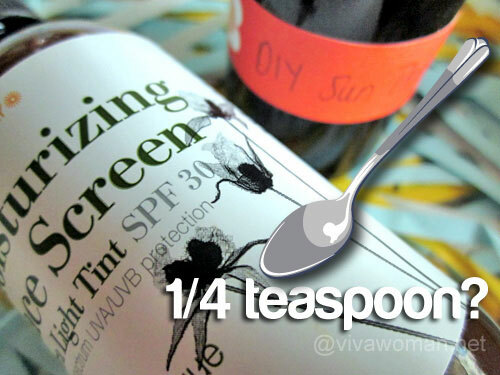 Look for sunscreens with good active ingredients. 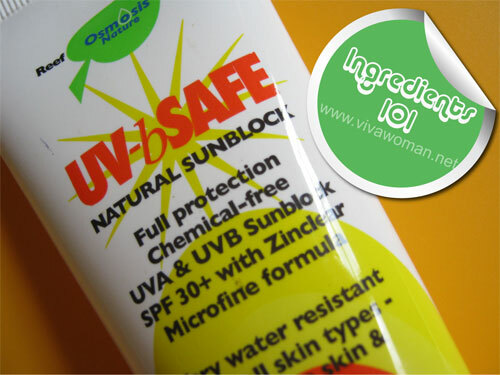 You can check my post http://www.vivawoman.net/2010/07/06/best-safest-sunscreen-ingredients/ for info. I read you list of ingredients that make us more sensitive to the sun and have desperately been trying to find a cleanser, toner and moisturizer that does not contain any of these ingredients. So far I have not succeeded. Can you recommend any products? I have melasma and want to use products in the day time at least that don’t make me more sensitive to the sun. Which country are you based? Thanks or your article. 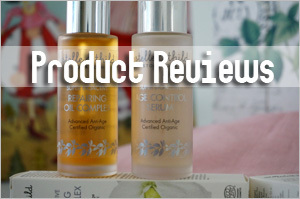 According to Paula’s choice website (which you have referenced too) the ingredients you list can cause “skin irritation, allergic reactions, skin sensitivity, and/or sun sensitivity”. I think “and/or” is important to mention. 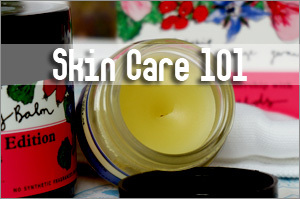 An ingredient may be a skin irritant but not cause sun sensitivity. Do you have another reference? Also, I thought there was evidence suggesting the L-Ascorbid acid protects people from the sun. Do you have a reference for this also? In my previous email I meant L-Ascorbic acid. What about vitamin A? you mentioned it in the list, but i always thought that it is a good thing for my skin and taking pills of E and A vitamins. So maybe it is the reason why my skin gets pygmentated so easily? there are so many contradictions that i really dont understand what to do to fight with the pigmentation? SO if nearly all brighteners natural and chemical cause photosensitivity so they evem worsen the situation. SO what to dooo????? if i make for example lemon juice and honey makss every day, and when i go out put 50 spf? or even after chemical brightener? your advices would be appreciated! :) btw my blemishes come up after pimples even if i dont touch them at all, they are like barely seen brown blemishes.maybe potato does not cause photosensitivity as i heard that it is active brightener as well? I was referring to topical application of vitamin A. If you’re using supplements, it should not be a problem. You can use yogurt in your DIY recipe. 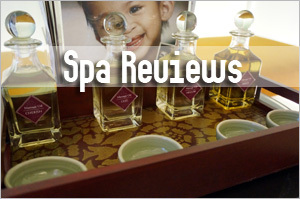 It has exfoliating and brightening properties. If you make drinks with lemon juice/drink lemonade a lot DON’T go for a chemical sunscreen!!! I don’t have all the answers to your questions, but I do know that drinking something with citrus like lemonade and then wearing a chemical sunscreen breaks down your protection by 30%, so YOU WILL have to apply it a lot more often. Hope this helps! I have photosensitive hyperpigmentation and have used this post as a guide for all my skincare purchases. There is a sunless tanner I like but it contains salicylic acid as the 16th ingredient. Do you think the concentration will be low enough to not cause photosensitivity? For reference, I use physical sunscreen on my face daily. I look forward to hearing from you — Thanks! Whoops, I mean 13th ingredient (out of 27). Hi Robby, sent you an email. Hope you’ve got it. Um… besides what you have mentioned (which is completely correct in your article) you didn’t mention that chemical blocking agents in sunscreens (chemical sunscreens) can cause hyperpigmentation and brown spots. Because of that reason, derms do not recommend chemical sunscreens for rosacea /hyperpigmentation and skin that is prone to freckling. They recommend mineral (physical) sunscreen for people who have that problem.